Our physicians and those referring to our office regularly recommend massage therapy for our patients and we are happy to discuss with you how this treatment plan can help you feel better faster. 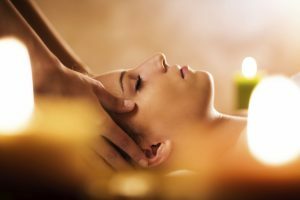 Massage therapy is one of the most popular forms of alternative medicine treatments in the United States for a variety of medical conditions and conservative pain management. 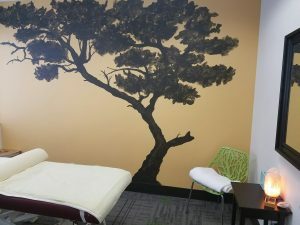 Massage therapy techniques involve the art of applying pressure, kneading, and compressing the soft tissues and muscles for the benefit of the major systems of the body including the circulatory, nervous, and musculoskeletal systems. Massage therapies is often a very helpful treatment for injuries sustained after a sports injury, car accident injury, or workplace injury. Massage therapy also has a positive effect on the overall wellness and total health of the body. Our doctors regularly prescribe massage therapies and physical techniques that can help with pain management and injury recovery. Massage therapy is an excellent treatment option after an accident, providing relief of pain from sprains, whiplash, back pain and headaches. In addition, massage therapy can reduce swelling from a car injury, help you gain back your full range of motion, and help prevent and reduce scar tissue. Deep tissue massage can be highly effective for chronic neck pain, lower back pain, sore shoulders, and more. Deep tissue massage breaks down adhesions to relieve pain and helps to restore normal movement. This can be particularly helpful for a sports injury or car accident injury. Trigger point massage works wonders with muscle knots, or areas of tenderness inside the muscle. Trigger points are usually the result of an accident, poor posture, or over-exertion. Trigger point massage can help eliminate pain, increase range of motion, and improve flexibility and circulation. Sports massage emphasizes the prevention and healing of injuries to the muscles and tendons. Sports massage stimulates blood circulation and increases the range of motion. This type of massage is a good choice for specific issues such as a painful knee, pulled hamstring, or aching elbow because the focus is put on the problem area instead of the whole body. Sports massage has also been proven to decrease recovery time and increase performance in a growing number of competitive sports, including weight lifting. Call us at 541-484-5777 to find out if massage therapy is appropriate for you to decrease pain, speed recovery after an injury, or improve your athletic performance. Bring a relaxing treat to your office or event! Our scheduling staff will help you set up a successful event tailored to your company’s needs. We will provide materials and support from start to finish. All you need to provide is a quiet space (conference room, break room, etc.) and we will pamper your staff without them having to leave the office! Participants sign up in advance for 15 minute sessions (the length of most employees’ break). Discounts for groups with 10 or more participants! Contact Whitney or Katie to schedule your event today. Employee Wellness Programs Also Available!